Yes, you can cancel your subscription at any time. Please note that you have 15 days from the day of purchase to reclaim your money back if you are not satisfied. 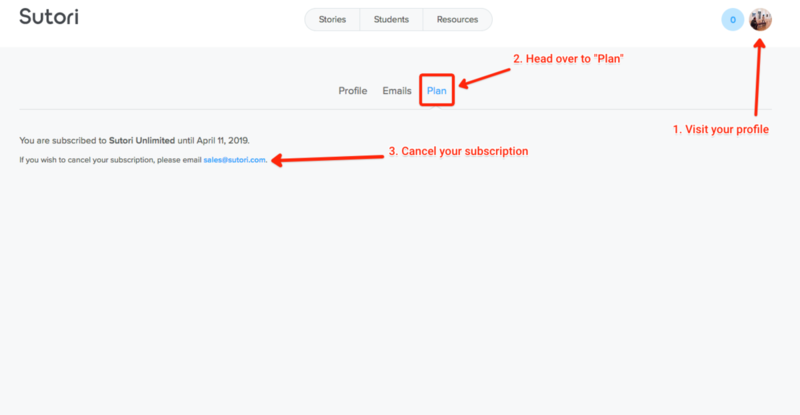 To cancel your subscription, head on over to your "Profile" and click on "Plan". You will then be able to cancel your subscription to Sutori.